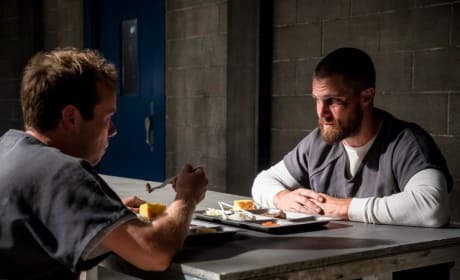 Oliver meets someone at Slabside who could potentially become an important ally. 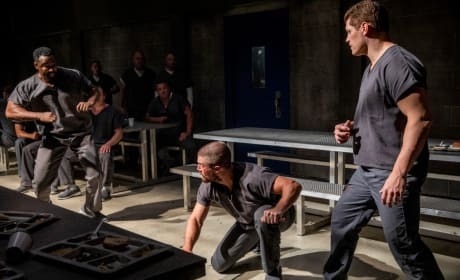 Oliver finds himself in a situation that doesn't go over well with prison security. 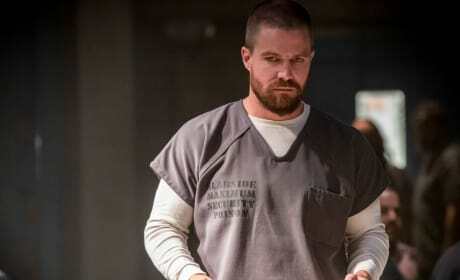 Oliver's attempt to keep a low profile goes awry when he's confronted by a number of his enemies. 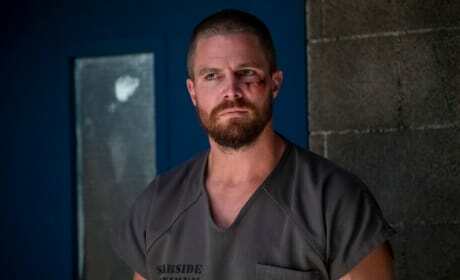 Star City's hero is now just another prisoner at Slabside Maximum Security Prison. 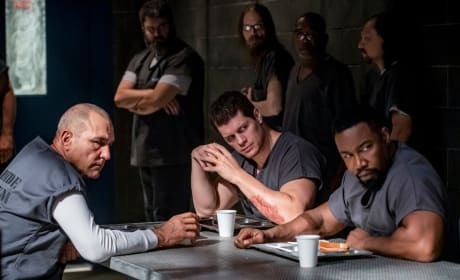 Half of the prisoners in Slabside Maximum Security Prison have issues with Oliver Queen. 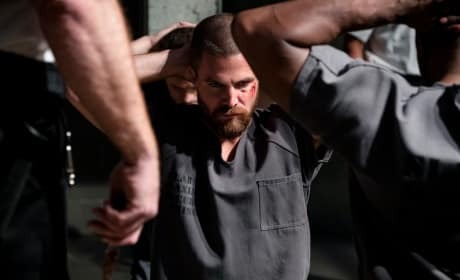 Oliver has never been in a more dangerous setting until now. 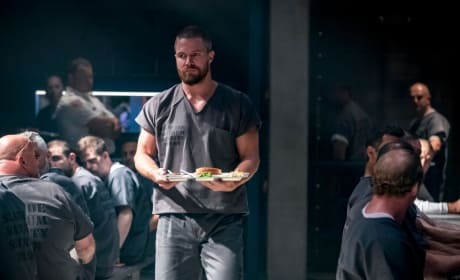 Oliver does his best to not attract attention during his time in prison. 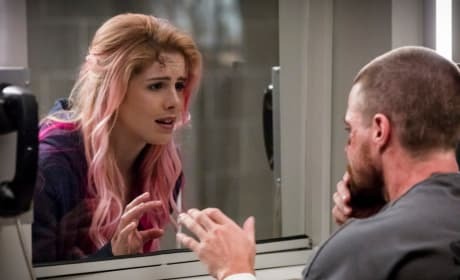 Felicity is distraught after visiting Oliver in prison. 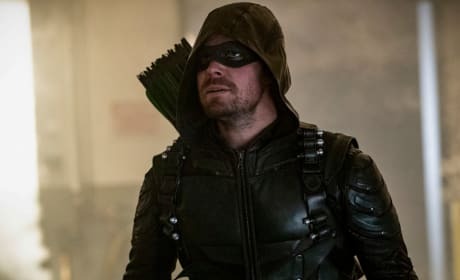 Green Arrow looks for blood while he's on the hunt for Diaz. 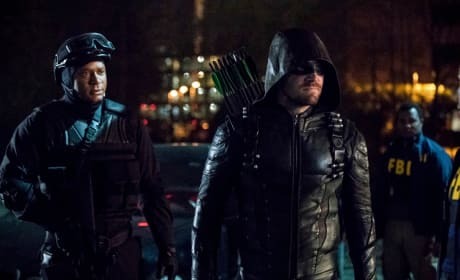 Team Arrow devise another plan with Agent Watson. 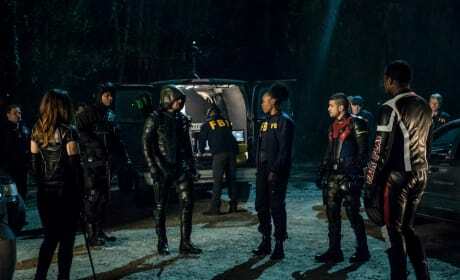 Oliver and Diggle receive bad news while they're out on a mission. 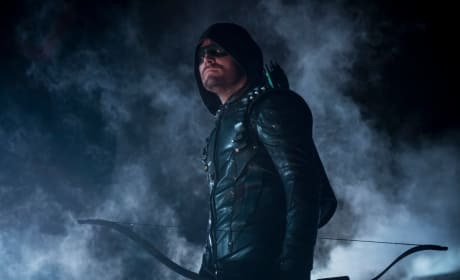 Oliver Queen surveying the scene during a mission.